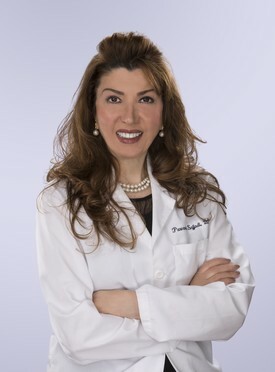 Dentist Parvaneh Sajjadi, DDS, Rockville MD, practices a full scope of general and cosmetic dentistry with expertise ranging from porcelain veneers to dental implants, crowns, and bridges. Dr. Sajjadi can now correct a wide variety of so-called permanent cosmetic dental problems, and can literally redesign your smile. Dr. Sajjadi renowned for her experience, skill, and artistry in cosmetic dentistry, offers a broad range of aesthetic and restorative dental services. Dr. Sajjadi has created many stunning smiles, particularly for those whose lifestyle relies on having a picture-perfect smile. Known for her expertise in performing smile makeovers with the highest-quality custom porcelain veneers and other elegantly crafted restorations, Dr. Sajjadi has impressively transformed many smiles over the last decade. Every patient is given a comprehensive diagnosis which is followed by a detailed explanation of the existing oral health status, procedures to be performed, and every treatment step moving forward. Dr. Sajjadi firmly believes that these steps are absolutely essential for your successful treatment and complete patient satisfaction. Potomac Dental Clinic offers you a new dental experience that ensures the highest level of patient satisfaction. Dr. Sajjadi did her General Practice Residency at Columbia University, Harlem Hospital and is widely regarded for her warm, personalized care.